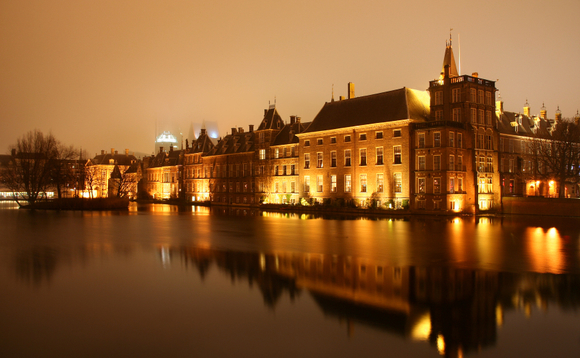 The Netherlands is well known for the stability of its economy, and its mortgage market is no exception. Even during the financial crisis, losses in this market were minimal and remained so throughout the period of global economic recovery. However, fundamental regulatory changes introduced in the past decade have seen the financial backing of this market evolve and, as a result, the Dutch mortgage market is emerging as an increasingly attractive asset class – particularly for foreign investors. While house prices have steadily increased since hitting a low between 2008-2013, the Netherlands – like many of its European neighbours – has seen banks retreat from the sector. Eurozone debt woes following the crisis, as well as tougher measures introduced – notably Basel III – meant that interest in the mortgage sector began to wane, all the while demand for residential mortgages continued to rise thanks to higher prices and lower interest rates. The result: a sizeable gap in the market which needs to be filled. Subsequently, new investors, notably pension funds and insurance companies, have entered the market over the past six years. What’s more, the funding gap has also seen calls for foreign investment issued by the Dutch state. Since, the market share of non-bank lenders has dramatically increased and now makes up over a third of the total €100bn annual mortgage volume. This figure is only expected to grow. The Dutch mortgage market is extremely attractive to investors. First, interest rates – and so yields – are high. Second, risk of losses is low, both due to the strong repayment ethic of Dutch mortgage holders and recent policy changes that have reduced maximum loan to value ratios for borrowers. Indeed, the Netherlands holds one of Europe’s strongest credit markets and has an equally stable political system, with a strong welfare structure, which supports borrowers in keeping up with their mortgage obligations by deducting mortgage interest payments from taxable income. Furthermore, with evolving regulations like Solvency II encouraging direct investments in markets and harmonising insurance regulation across the EU, a significant space for foreign investment in the Dutch mortgage market has opened up. Yet, with banks pulling back in this area, accessing this asset class remains challenging for investors. Traditionally, foreign investors have indirectly accessed the Dutch mortgage market via banks. Yet as Dutch banks’ share of the new mortgage market continues to decline – the market share of the top three banks, Rabobank, ABN Amro and ING, dropped below 50% for the first time in 2016 – non-bank lenders have emerged and are strongly expanding their share of the market for new mortgage lending. Serving as intermediaries for their institutional investor clients, these lenders are able to offer lower rates without a banking license. One such example is Merius Hypotheken, established in 2016 by Dutch mortgage specialist CMIS Group and Natixis – the corporate & investment banking services arm of Groupe BPCE. Its success in allowing investors to access the mortgage market without going through the big banks can be measured by the €1.5bn in assets it has originated to date. These platforms are as attractive to homebuyers as they are to investors. While large legacy institutions struggle to compete on interest due to existing regulation – which stipulates that rates for new and existing clients must remain the same – and banks being held back by stringent capital requirements, institutional investors are able to offer attractive, competitive rates to homebuyers. Furthermore, with new initiatives such as the Energy Efficient Mortgages Initiative entering the market – which will see all new builds meet nearly zero-energy requirements while offering buyers lower interest rates and other preferential finance potions – the incentive to invest in the region’s real estate has never been greater. Indeed, green loans have been available in the Netherlands since the 1990s, however the aim of the initiative is to establish a new generation of mortgage products for the property sector, including renovation of existing homes, that benefit all parties. Meanwhile, investors have signalled a more active approach to managing environmental, social and governance issues, with a majority now integrating ESG investing into their approach. In turn, opportunities available for investors in the mortgage market, which also align to their ESG criteria, are expected to continue to expand in the coming years. The Dutch mortgage market has undergone a significant overhaul in the past six years – a trend that is being replicated in other European countries such as Ireland, where institutional investors are being welcomed to the market to fund infrastructure for a growing population. European banks may be pulling back from important markets such as mortgages, but funding needs remain, not least given population growth, demographic evolution and changing housing regulations. It is thus clear that non-bank investment will continue to grow in importance and prominence.